Fans of slots games need to know how to find the best slots to play and one thing which can give one slot an advantage over another is how ‘loose’ it is. When a slot is described as being ‘loose’ what we mean is that it offers better returns to players in the long term. Just how good those returns are is determined by the slot’s return to player (RTP) percentage. Here on this page we’re going to try and give you all of the information you could possibly need to find those ‘loose’ slots to play online. 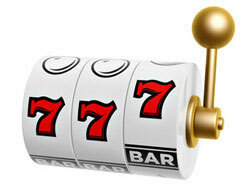 1) Are the loosest slot machines online or in real casinos? This is a pretty commonly asked question but is one with a very simple and definitive answer. That is that online slot machines are looser across the board than real, land based machines and there is a significant difference between the RTP %s you will routinely find in each realm. Generally speaking, slot or fruit machines you would find in a land based casino or betting shop will have an RTP % of around 85% with some having a higher figure and some lower. You will not find an online slot, meanwhile, with an RTP % of lower than around 91% and many even have percentages in excess of 95%. 2) Will slots payout twice in quick succession? One of the most common misconceptions about slot games and probability in general is that a previous outcome has any bearing on the next. The fact is that the chance of a slot machine paying out is exactly the same for a spin after it has just previously paid out, as for a spin taking place 100 or even a 1000 spins after the last payout. All slots, therefore, can payout twice in quick succession or even twice in a row, just as any slot can also go a significant number of spins without paying out at all. 3) Do slots build up losses until they are ready to pay out? This is another myth which perpetuates amongst slots players. Slot machines, whether real or online, do not keep a record or somehow remember their pay outs in order to space them out or to build up losses between each big jackpot. Slot machines work through the use of random number generators (RNGs) which are what determine which symbols appear on their reels. Exactly how RNGs work is not important but what is crucial is the fact that the first word of their name is ‘random’. 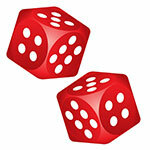 RNGs, therefore, ensure that the result of each and every spin of a slot game is truly random and undeterminable. In order to maintain their licences, therefore, slot operators have to have their RNGs checked by independent bodies to ensure they are working in that way. 4) Are progressive slots tighter than regular slots? Progressive jackpot slots are slot games or machines which are linked to a jackpot that gradually increases as the game is played, until such a time as the jackpot is won. Generally speaking, such jackpots are only won very occasionally and can be added to by players using multiple machines or multiple iterations of a game hosted on different online casinos. As such, the RTP % for progressive games is generally quite a lot lower than that offered by standard slots without a link to progressive jackpots. Progressive slots, therefore, can accurately be described as being ‘tighter’ than regular slots. A good example of the general difference between the RTP percentage of progressive slots and regular slots comes from looking at two popular games made by developer Microgaming. Mega Moolah is arguably Microgaming’s most popular progressive slot and has an RTP % of 88.12%. Avalon II, meanwhile, is a popular regular slot from the same developer and has an RTP % of approximately 97%. 5) Do casinos place looser slots in certain locations? The many different slot machines present in a casino will all have different RTP % and thus some can be described as looser than others. Theories regarding where casinos place their looser slot machines have been doing the rounds for almost as long as there have been slot machines in casinos. Amongst the most common theories are that looser machines are placed near entrances or in other highly visible locations in order to attract players into casinos or to demonstrate to them that it’s possible to win. Other theories include that slots near table games are tighter so that wins do not distract players at the tables or that slots near buffets are tighter because they benefit from a captive audience. In some casinos any or all of those theories might prove to be accurate. Overall, however, there is no theory which will prove accurate for every casino. Thinking about it logically, it would be ludicrous for all casinos to arrange their slots in the same way, especially given that theories regarding slot placement are so widely available to players. An RTP percentage represents the proportion of the money put into a slot machine or game which would be expected to be paid back out to players over an extended period of time. A slot with an RTP percentage of 100%, for instance, would eventually pay out exactly the amount that’s paid into it. There are no slots with a 100% RTP percentage for obvious reasons but the loosest slots can have percentages in excess of 95% or even higher. What’s important to understand, however, is that every RTP % figure refers to how a slot operates over a long period of time and so is essentially an average of its activity. If you put £100 into a slot game with a 95% RTP %, it is not guaranteed that you will get £95 out. You might get considerably less than that or you may achieve winnings far in excess not only of the RTP % but also of what you put in to begin with. Over many months or years and across a multitude of players, however, the slot will pay out approximately 95% of what is paid into it. Finding the best slots with a high RTP %, therefore, does not guarantee success but is a fair way to increase your chances. When it comes to actually discovering a slot’s RTP % it can sometimes be very easy and on other occasions be much trickier. Dealing with physical slot machines first, in the UK the Gambling Commission requires that all machines clearly display their RTP %. All you need do then, therefore, is to study the machine itself until you find what you’re looking for. In other jurisdictions rules do differ, however, so finding an RTP % for a physical slot machine can be almost impossible. 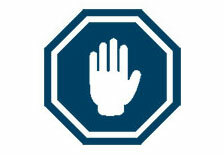 In a similar vein, you will also find that some but not all online slots also publicise their RTP % to players. Those games which do make the information available will usually include the RTP % within their help section or occasionally as part of their paytable. Where a slot’s RTP % isn’t publically displayed, you can contact the casino site you’re using and they’ll get the info to you.